The official website Of Chaos Comics Founder Brian Pulido, best known for his creations Lady Death and Evil Ernie. 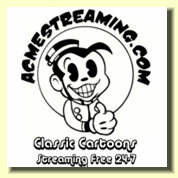 The official website of Bob McLeod, long time Marvel and DC inker, and editor of Rough Stuff Magazine. The official website of Longtime Marvel and DC artist Ed Hannigan. Ed did some of the most memorable covers of the 70's & 80's. The official website of Joseph Michael Linsner, best known as the creator of cry for dawn. The official website of Sci-Fi and Fantasy magazine Heavy Metal. Published by Teenage Mutant Ninja Turtles co-creator Kevin Eastman. In te re st ed in ge tti n g a co m mi ss io n or re cr ea ti o n? In te re st ed in ha vi n g o ne of th e ar tis ts w or k o n y o ur co mi c? w an t to p ur ch as e a pi ec e of or igi na l ar t? w o ul d y o u lik e to ha ve o ne of o ur ar tis ts ap pe ar at y o ur co mi cb o ok st or e or co n ve nt io n? an d let us kn o w!